Forgiveness is a hard, hard quality to master. In my 27 years of life it is probably the single hardest quality to embed in my life. Every day I spend countless minutes and hours teaching our children about forgiveness. I want them to know that it is good and right to forgive each other-always. I want them to know that it is never okay to be malicious, keep a grudge, or to be express hate towards one another. Even though they are still young and the forgiveness they are working on is learning to forgive their brothers when they do something they don’t like, it is still a lesson. They are still learning to forgive, and let go. 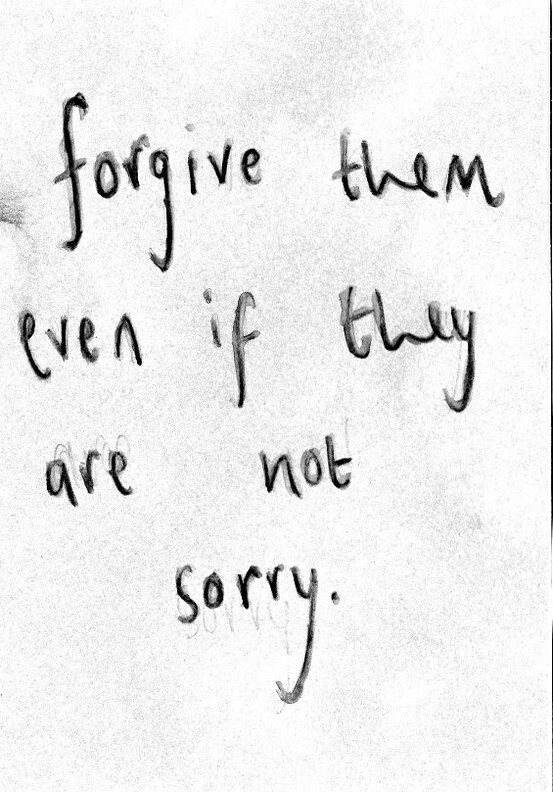 They need to learn how it feels to forgive someone for the wrongness they did. They also need to learn to step up and ask their brother or friend for forgiveness if they were the wrongdoer. 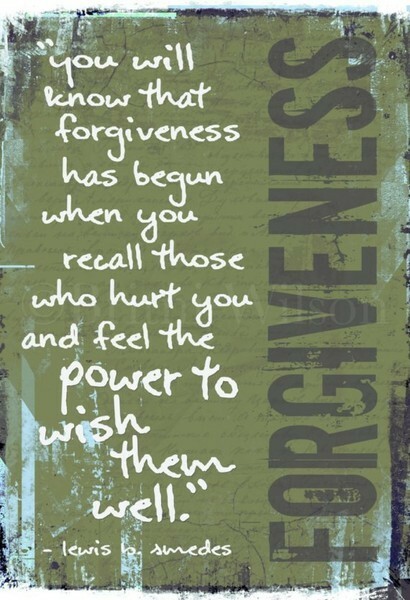 Forgiveness is a two way street, my friends. Incredible things have been happening with my heart lately. It has been moved in a ways and transformed in only ways the Lord could be responsible for. Recently I’ve decided to make a life changing decision to forgive someone very near to me. It’s time to let this burden go, and start fresh. The bible tells us we need to forgive. We are not to hold grudges, bare hatred, gossip about, or wish evil upon others. Maybe if this is something you are struggling with you can look up the passages on your time and let them work on you in their own ways. I have been so blind! This is a HUGE and I mean HUGE burden lifted off of my shoulders. This is something I have struggled with for the past few years, and I am ready to be done with this bitterness. This forgiveness is not just for me, but for my children. The grudge that I was continuing to hold was hurting them too and that was not fair. Helping me realize this forgiveness needed to happen was one of my husband’s aunts. We talked and prayed about this for a very long time. We were even able to share a conversation back in April when we were together in person. Because of that conversation I was able to look at the situation differently, and pray for a different outcome, thus allowing me to experience this forgiveness. When I told her I was finally ready to forgive this person in my life and start fresh she was overcome with joy and shared in this life changing moment with me. He knows how much of a burden this has been for me to carry around and he is ready for me to start fresh. He has wanted this for the longest time too. So now I will place my trust deep in my faith and start a new book. I know it’s not going to be easy. The old book has been thrown away. 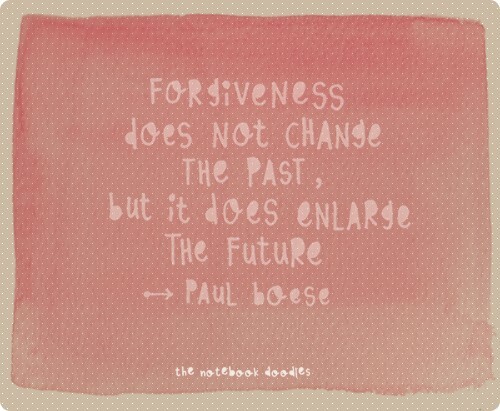 The past, the hurt, and the fear have been erased. I am starting a new book and the new one now has clean, crisp pages ready to be written on. Sure some days those pages will have wrinkles, and tears, maybe even watermarks from a few tears but I am going to keep going. I am going to fill that new book with the good, the bad, and the ugly. Today I’m going to take all of that built up hurt, hatred, and animosity and turn it into mercy, generosity, and forgiveness.